No single musician had more influence over the way tenor saxophonists sounded and played in the 1940s and 1950s than Lester Young. From Al Cohn, Zoot Sims and Stan Getz to Wardell Gray and Sonny Stitt, tenors who came up during the swing and bebop periods idolized Young's cool, bluesy intonation and worked hard to sound as much like him as possible. 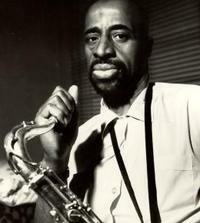 But by the mid-1950s, younger tenor saxophonists began to break from the Young-ian pack and develop their own sound. 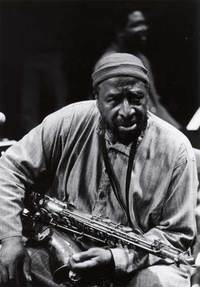 The earliest modern tenor rebels included Sonny Rollins, John Coltrane and Yusef Lateef. All offered sounds distinctly different from Young's, and each skillfully incorporated music rooted outside the U.S. into their ideas. In the late 1950s and early 1960s, Rollins experimented with Caribbean motifs while Coltrane turned to Africa for inspiration. 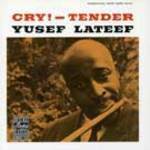 Yusef found his voice in Far Eastern chord patterns and scales, and his deep spiritual beliefs and gentle personality won the admiration of many musicians who were trying to establish their own identities. JazzWax: The word “jazz” is no longer in your vocabulary. Why not? 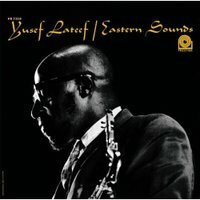 Yusef Lateef: I relinquished it 30 years ago. 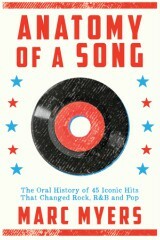 I still play that form of music, but I feel the word is a misnomer. It has meanings and connotations that debase the art and belittle those who play it. Performing music that inspires listeners and puts them in touch with themselves is a beautiful and challenging and difficult expression. There’s communication between the artist and the listener, and hopefully both are better people and more enriched as a result. YL: If you look it up, you’ll see that its synonyms include “nonsense,” “blather,” “claptrap” and other definitions that reduce the music to poppycock and skulduggery. I find that the word “jazz” is a meaningless term that too narrowly defines the music I play, and it adds a connotation that’s disrespectful to the art and those who perform it. If you eat a wonderful meal, you don’t’ refer to the food as “trash,” do you? JW: Do you think your experiences as a child trained you to see and feel things that most people miss? YL: It’s hard to say since I don’t know what other people see or feel. For me, life is a phenomenon. Human beings are a phenomenon. All of creation—a plant, an animal, a human being—is amazing. JW: Where does your compassion come from? YL: My compassion toward humanity began when I was 9 or 10 years old. The local funeral mortician in Detroit used to send bags of food out to poor people in the neighborhood. He would put the bags on a truck, and I would ride on the truck and take the bags in to these people. I’ve never forgotten the expression on those people’s faces when I handed them the bags of food. Those faces of joy and gratitude touched me deeply and have stayed with me. There’s an old saying, “The hand of the giver is better than the hand of the receiver.” Giving stimulates your spiritual nature. Everyone has a spiritual side, and giving opens it up and elevates you. That’s why good deeds are so important. You receive so much. JW: How does one become more spiritual? YL: There are many different concepts. For example, take Lester Young. Everyone who knew him said how nice and good he was. Perhaps that is one of the qualities of a spiritual person—kind and giving and loving. I believe that. To be spiritual, you have to have sympathy for the poor and the downtrodden and with your neighbor and people thousands of miles away. When I was beginning to explore spiritual music in the mid-1950s, there was some resentment. 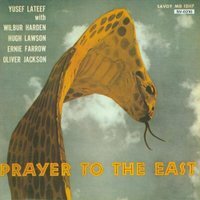 My early albums as a leader for Savoy—Jazz for the Thinker and Prayer to the East—were different than anything else that had been recorded. I realized then that if I was going to continue, I had to change the format. I started studying [Karlheinz] Stockhausen, a classical composer who was changing music with his embrace of electronics and new theories. After listening to composers like him, I knew I had to go beyond what I already knew. JW: How did spiritual music come to you so early, years before John Coltrane's exploration? YL: In 1948 I embraced Islam through the Ahmadiyya Muslim Community movement—which is is guided by a Khalifa, a spiritual leader. After my conversion, I found myself striving for a spiritual development, and I still am. My music, like my religion, is supposed to take you from this life and into the next. I believe this and try to express that belief in my music. JW: What do you call your music if not “jazz?" YL: The term I like to use is autophysiopsychic music. This means music from the physical, mental and spiritual. I think it’s an adequate term. JW: How does this translate technically? YL: With this form of music, I’m continually experimenting with triple diminished patterns. A diminished seventh chord in Western music has a minor third, a diminished fifth and a double diminished seventh above the chord’s root note. So a C diminished seventh chord would have a C in the root, an E-flat, a G flat and an A, which is a double diminished B.
JW: How does this work when you play? YL: My triple diminished pattern has 12 tones with no two adjacent notes from the same diminished seventh chord. For example, in order for a triple diminished pattern to have 12 notes in groups of three, the first three notes are C, D and C sharp. The next group would start a minor third above the C. So you'd play E flat, F and E. The next group would start on F sharp and move to G sharp and G. The last three would be A, B and B flat. That's just one triple diminished pattern. Clearly, I have to do a lot of thinking when I’m playing, but it’s second nature to me now. JW: How does this pattern sound? JW: Can I hear this pattern on a CD? YL: Yes, you can hear it on Influence and my next CD, Concerto for Woodwinds, which will be out in April on my YAL Records label. It features a completely revolutionary way of approaching music through the use of autophysiopsychic intervals. JW: What do you want listeners to hear in your music? YL: I want my music to awaken something that’s already in your heart. For example, I was in South Carolina recently, at a college seminar. A fellow came in with his little boy who was maybe 2 or 3 years old. This fellow said, “Yusef, I heard the song Gee Sam Gee, from your album Live at Pep's. I just want to tell you, it’s the most beautiful song I’ve ever heard." To me, that is so touching. I was trying to present something beautiful back then, and more than 40 years later, someone said the beauty touched him, too. In another situation, a couple came up to me and said that my Love Theme from Spartacus [from Eastern Sounds, 1961] was very special to them. They said they heard it the night they got married. That’s really something. I strive to present that which is beautiful because it arouses beauty in the hearts of the listener. JW: One of my favorite pieces of yours is Iqbal, from The Centaur and the Phoenix. YL: Oh my. I’m so glad. Actually that was written for my daughter, Iqbal, my first child, who passed away in May 2000. She was so beautiful and so kind. I miss her very much. Tomorrow, in Part 3, Yusef talks about the importance of individualism, what he learned from Cannonball Adderley, and what seeing Ben Webster perform taught him. 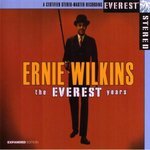 In early 1960, Yusef recorded a big band date with Ernie Wilkins, which can be found on the CD Ernie Wilkins: The Everest Years. Wilkins used Earl Warren on alto and Yusef, Zoot Sims and Seldon Powell on tenors. There was no baritone sax. The CD swings all the way through. Yusef's leadership dates for Riverside in 1960 and 1961 are superb. 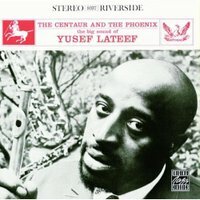 My favorites include Three Faces of Yusef Lateef, The Centaur and the Phoenix, Eastern Sounds and Into Something. 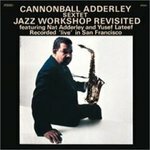 His work with Cannonball Adderley in 1962 can be found on The Cannonball Adderley Sextet in New York, Nippon Soul and Jazz Workshop Revisited. 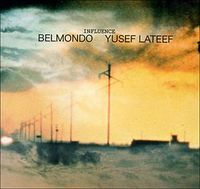 Yusef on Impulse also is exciting. 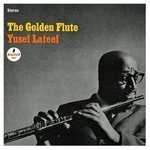 My favorite is The Golden Flute. Dig the opening bossa nova, Road Runner. 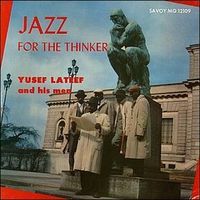 Yusef's album, Influence, is very different. 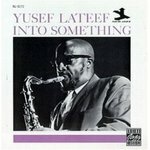 Like many of his albums from about 1980 onward, Influence (2005) and Yusef Lateef's Little Symphony (1987), which won a Grammy, mixes electronic, percussion and spiritual themes. They are provocative and moving, and unlike his earlier works. JazzWax video clips: To hear Yusef play soprano sax on Love Theme from Spartacus (1961), go here. 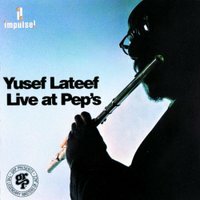 To hear Yusef play tenor and flute on Jive Samba (1963) with Cannonball and Nat Adderley, go here. To hear Yusef in March 2007, go here and here. The point of this sequence is to show you Yusef's evolution over time and to hear the artist's constant struggle to break free from what he has already accomplished and stretch to reach where he's going. A fascinating process. Jazzwax gets better each day,and each day is an intesive jazz course. As AfroCuban percussionist, Candido, would say, jazzwax, wow, wow, wow!!!!!!!!!!!!!!!!!! 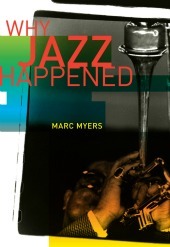 Marc Myers writes regularly for The Wall Street Journal and is author of "Anatomy of a Song" (Grove) and "Why Jazz Happened." Founded in 2007, JazzWax is a three-time winner of the Jazz Journalists Association's best blog award, including 2018. Audio clips that appear below JazzWax posts support editorial content that links readers directly to Amazon and other third-party music retailers.